a couple weeks back i planned a little headband swap. remember that? i bet you guys thought i was going to forget to blog about it. have no fear, the post is here. i got paired with my girl, audrey. i am so happy i did! she is so sweet and funny, and even though we read each other's blogs before, i feel like our friendship has grown since. don't you agree, audrey? ;) she has a little baby boy named george whose cheeks i want to squeeze. go on and peruse her blog, you will lalalove it. i promise. shopping for audrey was super fun! she likes all things funky, sorta like me. we were clearly meant to be partners. after much hemming and hawing i had narrowed it down to two headbands, and when i just couldn't decide… i got both! i did go a couple dollar bills over budget but i figured since i made the rules so i can break 'em, too. holla. i got audrey a fabulous feather headband from lala's closet. why, look right over thur ---> they are a lovely sponsor of mine and offering 10% off of all your feathered needs! and i got her sweet little bow headband from reverberate. be sure to check them out, too! audrey sent a beautiful bedazzled flower headband that i may be found wearing, in a little town in upstate new york, every day. how do you know me so well, girlfriend? this is me. imagining us together. hanging out, ever so stylishly. i sent audrey an email of that strange picture of myself pointing at my head when i got the headband. she may have been creeped out, i'm not really sure though. audrey? i am so happy this little swap happened and i hope you all enjoyed making new friends and rocking new headbands just as much as i did! and since we are talking headbands, i must show you the headband that lisa from lala's closet sent me, too. ahem. are you dying? lace, peachy color, feathers and is that a pearl i see? oh yes, it is. i love it, lisa! thanks so much! so…did you participate!? tell me your swap story and show off your new headband! link up, i wanna see what you got! So cute! Where did Audrey get yours from? Loving it! oh my gawsh. 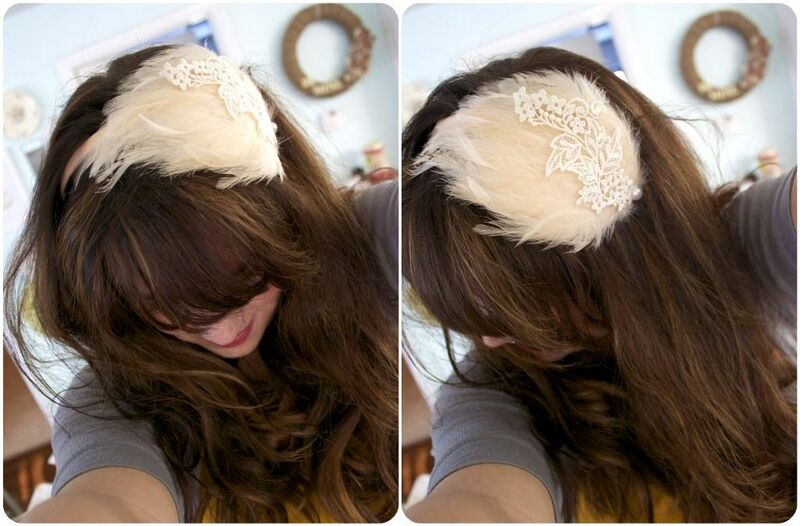 Those feather headbands are just FAB! 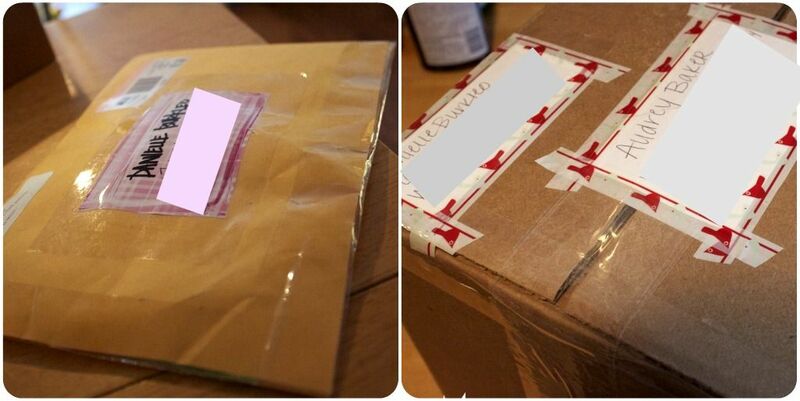 My partner and I were the late entries and we actually each shipped ours out today!! I'm pumped! your hair looks awes bloss. and that flower headband is super cute. Oh I love this! Those headbands are amazing! I wish I could rock a headband...but alas...I look weird in them :( It's either a head problem or a face problem...can't decide! 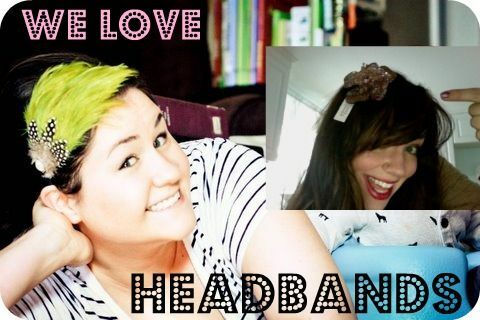 i loved that you hosted the headband swap! the ones you got me were glorious...you really do know me yo! I LOVE THAT PINK FEATHER HEADBAND TOO! btw, i love that i can say i have a friend in new york. i bet it's not as cool say you have a friend in kansas. sucker! but seriously, thanks for getting all-up-in-my-life! ps. look at your following! how many did you have when i found your site in october?!? you've started a mini cult. and pps. when will we be hearing your love story? love this idea; i'll participate next time, lovely. fo sho. lala's is doing a giveaway on my blog next wk. 1) do you do your makeup every day? it's so pretty. 2) where do you get some of those awesome fonts? You're so welcome! I truly enjoyed the honesty. It was refreshing : ) You made ME laugh when you said you wished someone would've slapped you across the face and handed you some Target formula. Sooo funny! Those headbands are so great! I wish I had know about this sooner & participated! Hmm...maybe another swap will come in the future?? p.s. Did you see this? She totally talks about the book you mentioned! I'd never heard of it - maybe I need to check it out! how cuuuuute!! love both of the swaps. the one you got for audrey is fabulous!!! i must grow this hair out. Thank you so much for setting up the swap Danielle!